April MacPherson is dedicated to helping people succeed, and she puts science to good use. For some people, this may mean learning to communicate basic wants and needs. For others, it’s making friends on the playground or developing skills to live independently as an adult. Whatever the case may be, she knows incremental changes over time can lead to significant long-term success, and she continually supports those she serves to help them accomplish all they can. April began working in the field when she was a college student in 2007, as she studied for her bachelor’s degree. 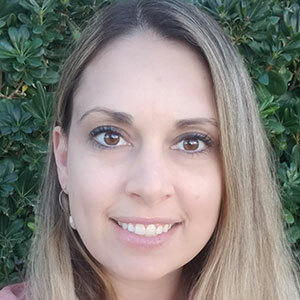 She was inspired by her supervisor, a Board Certified Behavior Analyst (BCBA), whose knowledge and guidance helped shape April as a professional and motivated her to take the step of earning her master’s degree. April received her Master of Teaching in 2014 and became a BCBA in 2015. April is a mother of two sweet boys, and their household includes two cats, two dogs, and two horses. April loves hiking and horseback riding.